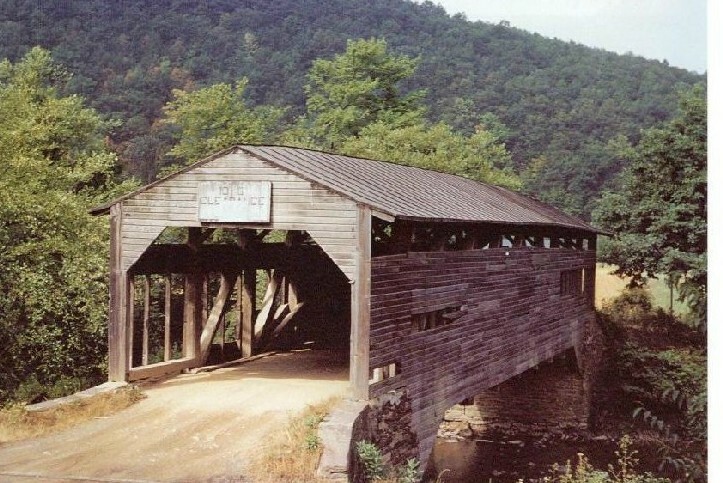 Two views of the Wanich Covered Bridge, Mt Pleasant Township. Above is a recent view of bridge. Below is earlier picture before renovations.